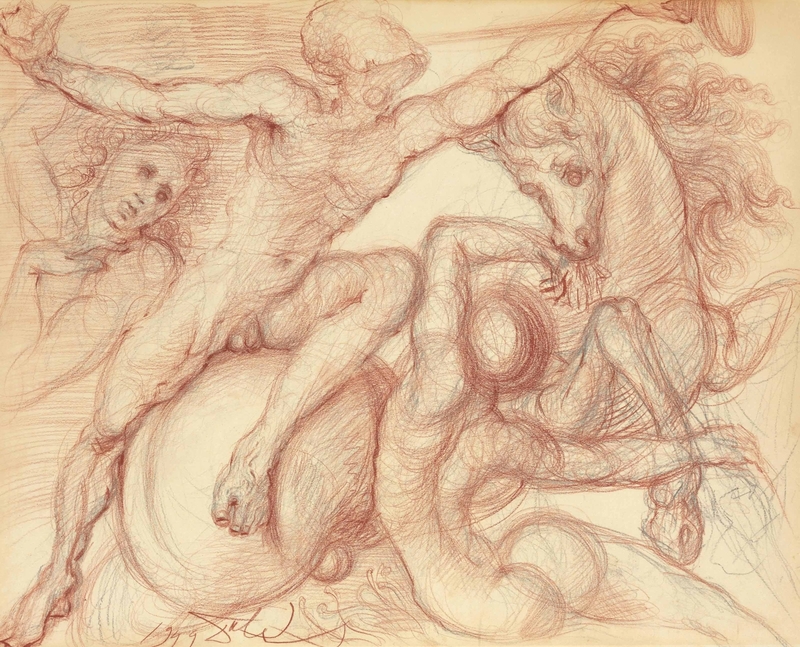 Drawing is perhaps one of the most natural and rudimentary activities we undertake as humans. 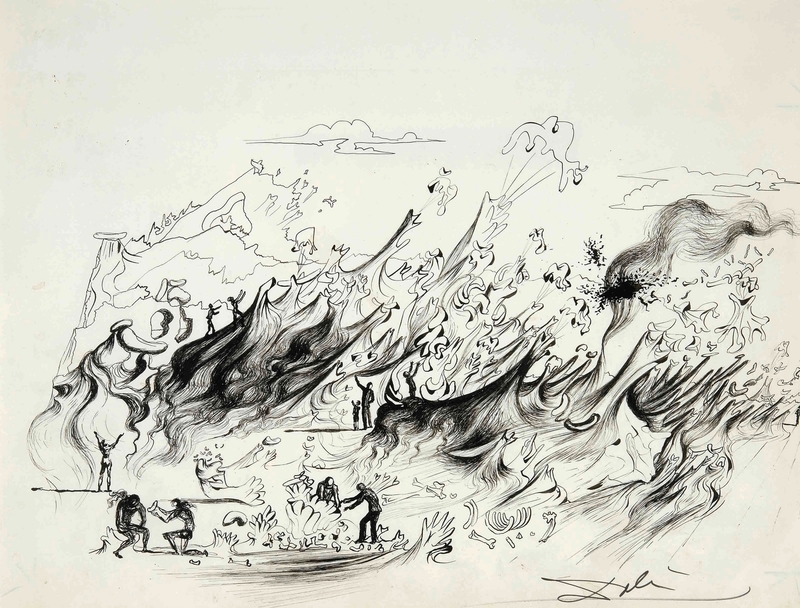 As soon as we get our hands on something that leaves a mark, we begin to draw. 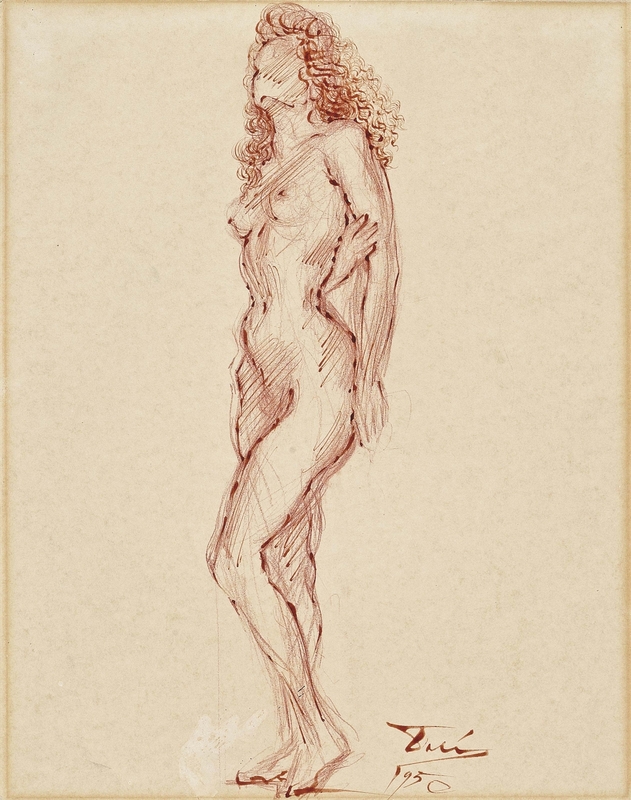 In art, it is considered a fundamental skill to master. 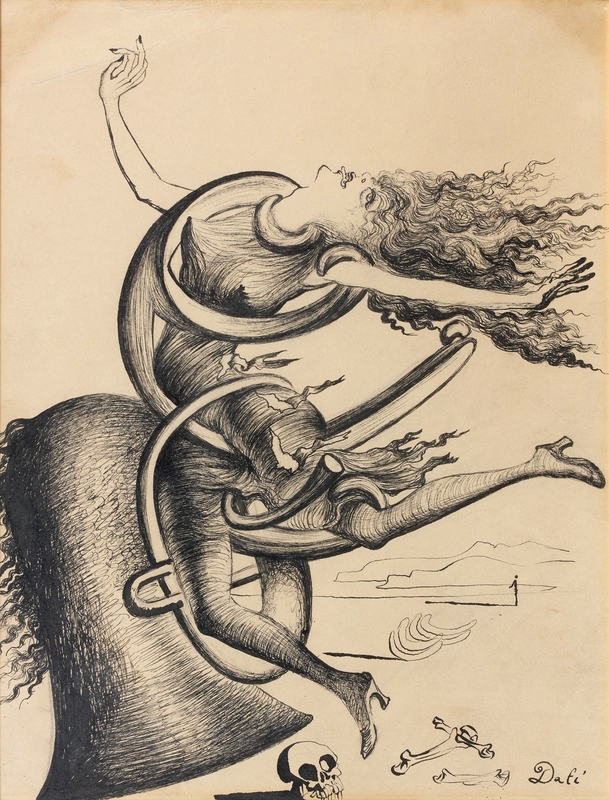 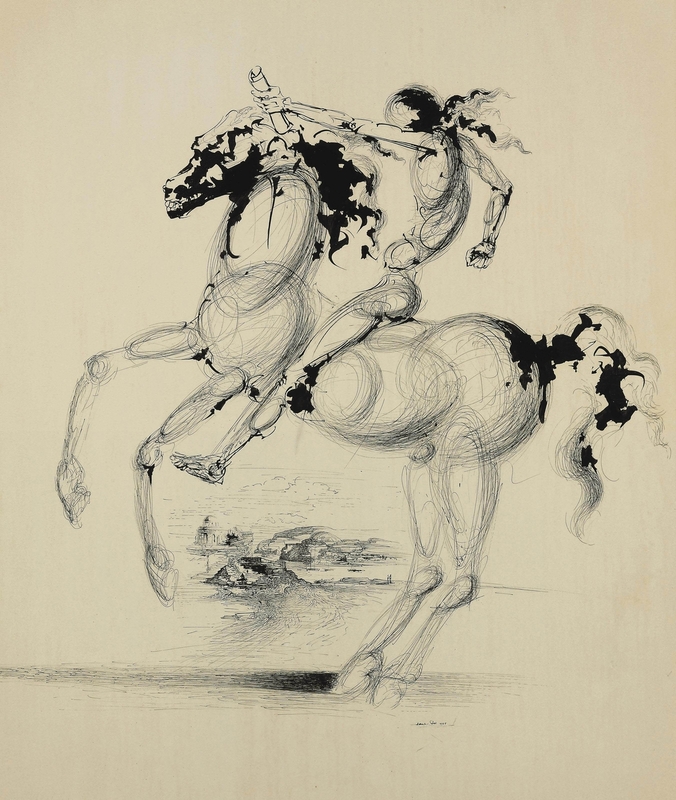 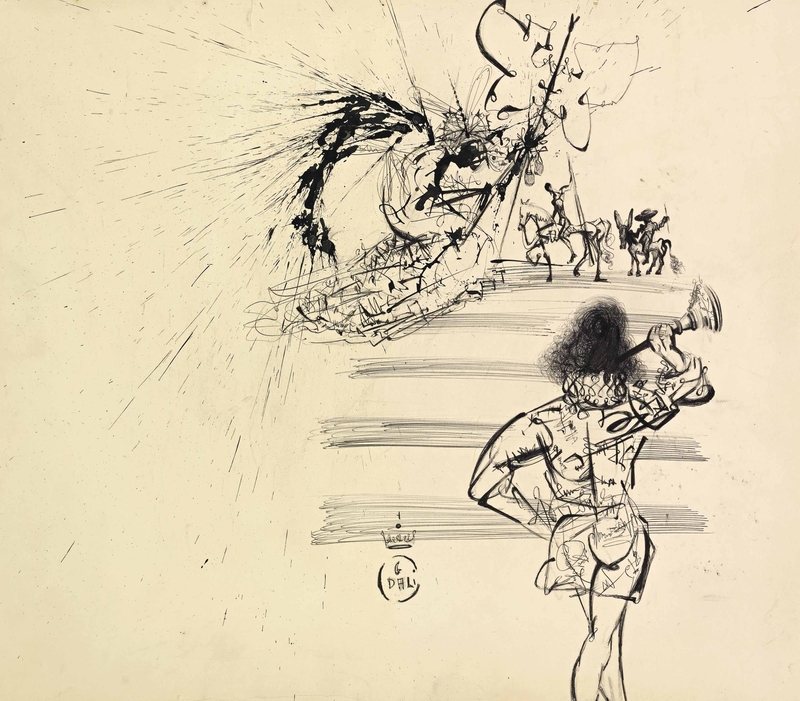 For Salvador Dalí drawing was both a means and an end. 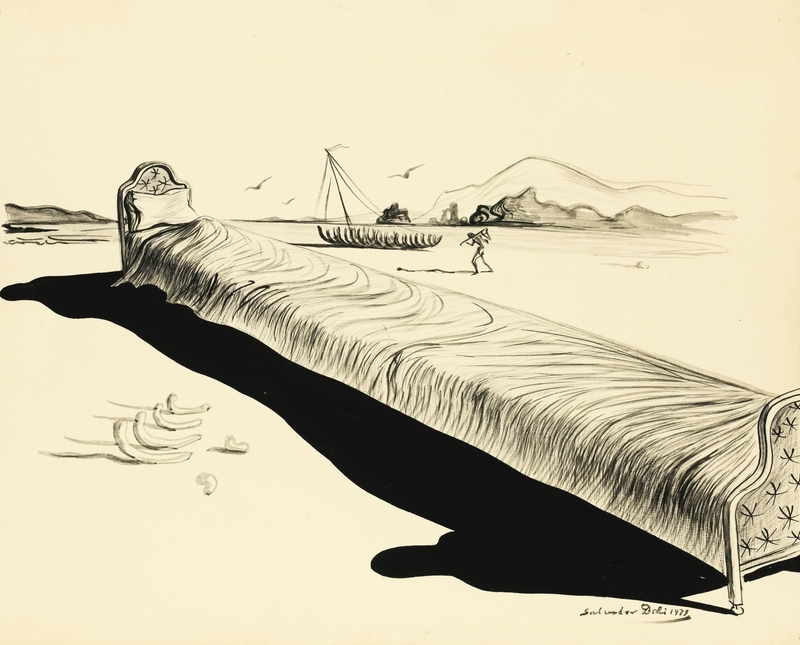 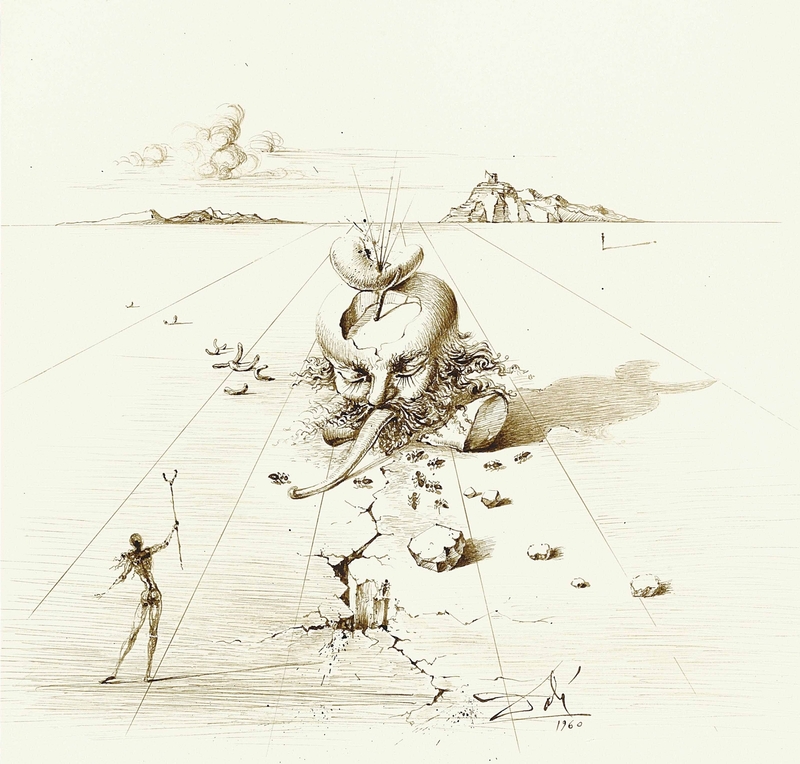 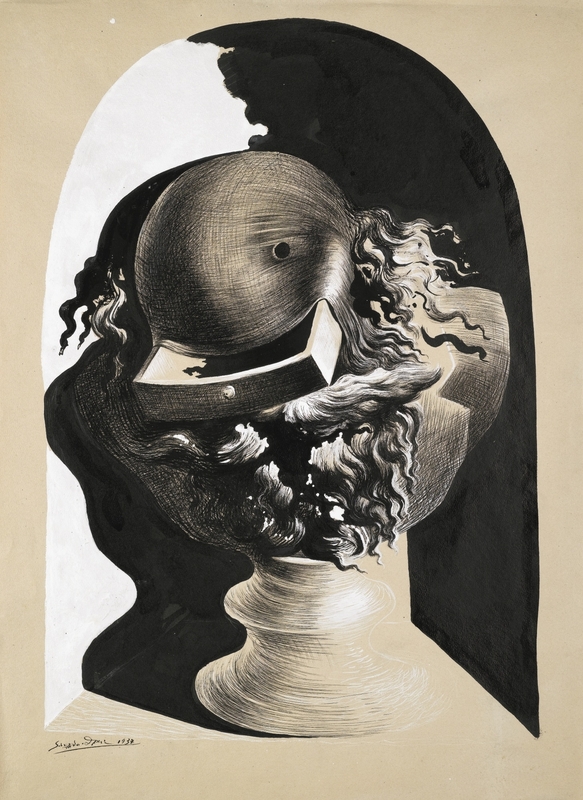 Meaning, a lot of what we have that count as “drawings” from Salvador Dalí are studies for much larger works, they are representations of his thought process, his creativity shifting and growing, and an insight to his unique perspective of the world. 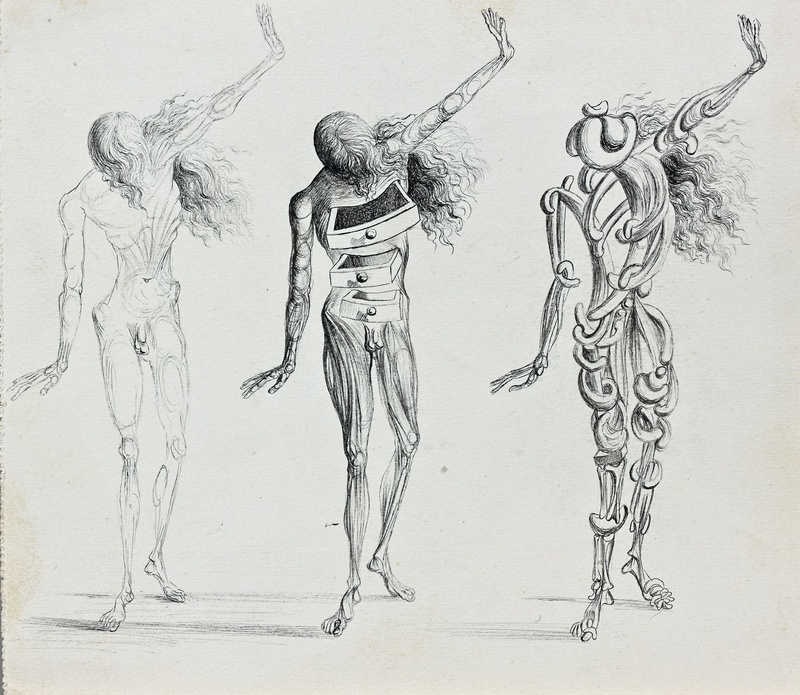 Yet, they are still remarkably captivating and intriguing, and they stand on their own as precious works of art. 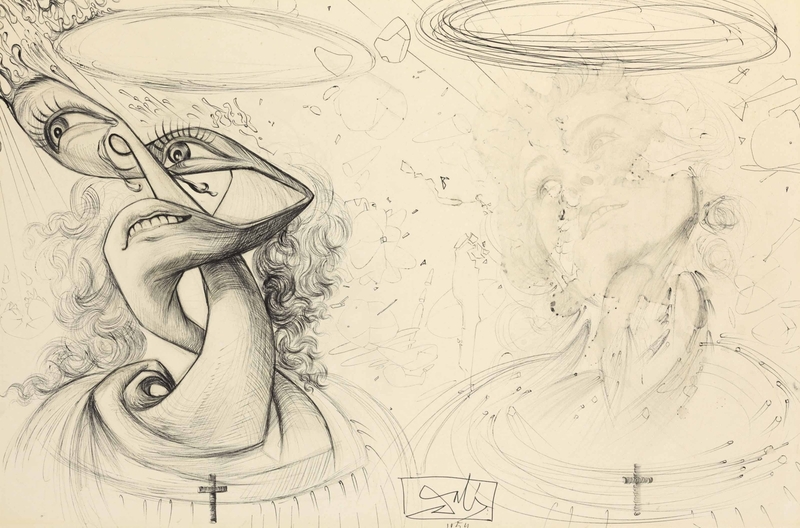 Drawings by Salvador Dalí are on displayed in the most prestigious museums in the world and are part of some the finest private art collections. 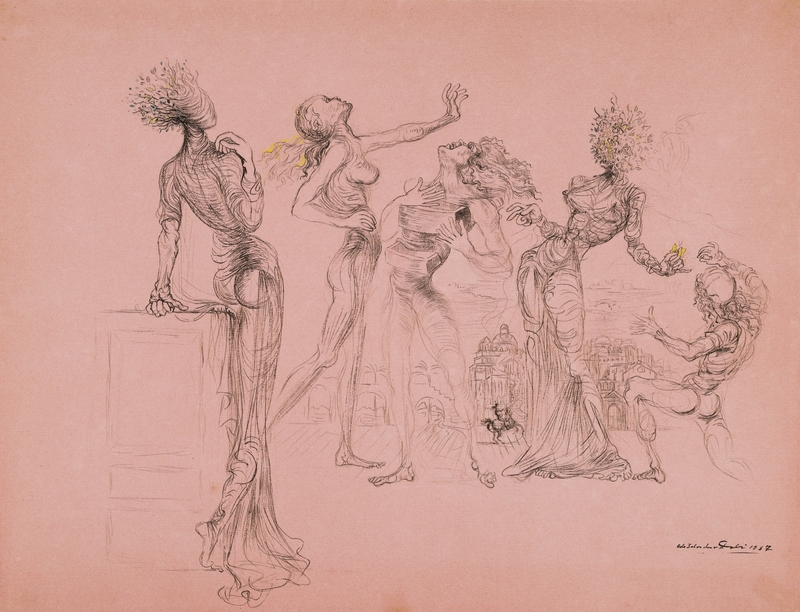 These are works of pure genius. 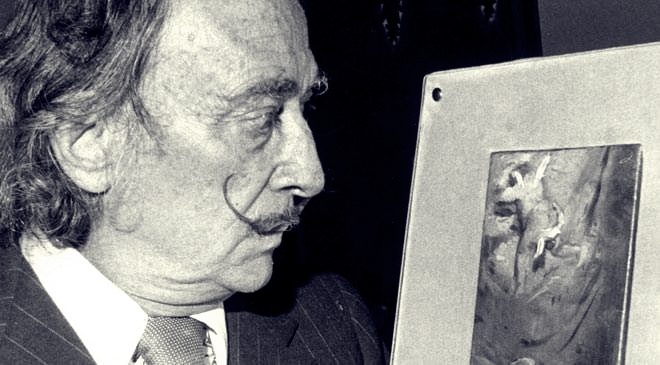 Dalí was a master craftsman, and his technique as an artist extended well into his capabilities as a drawer. 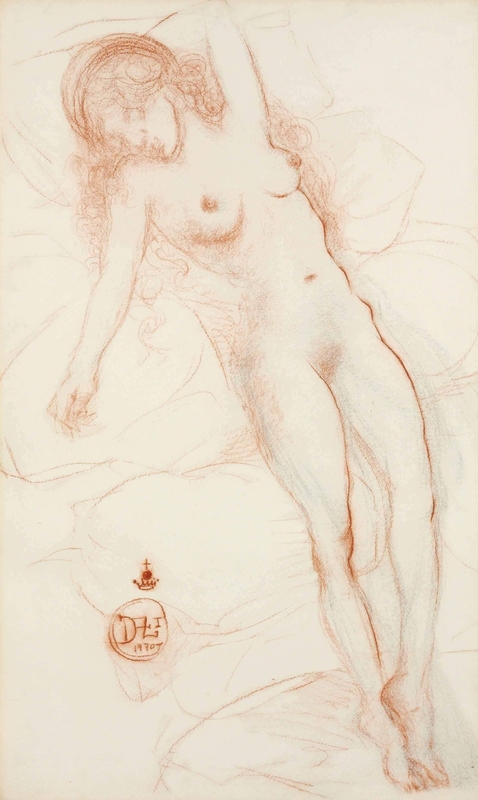 Dalí began drawing at an early age. 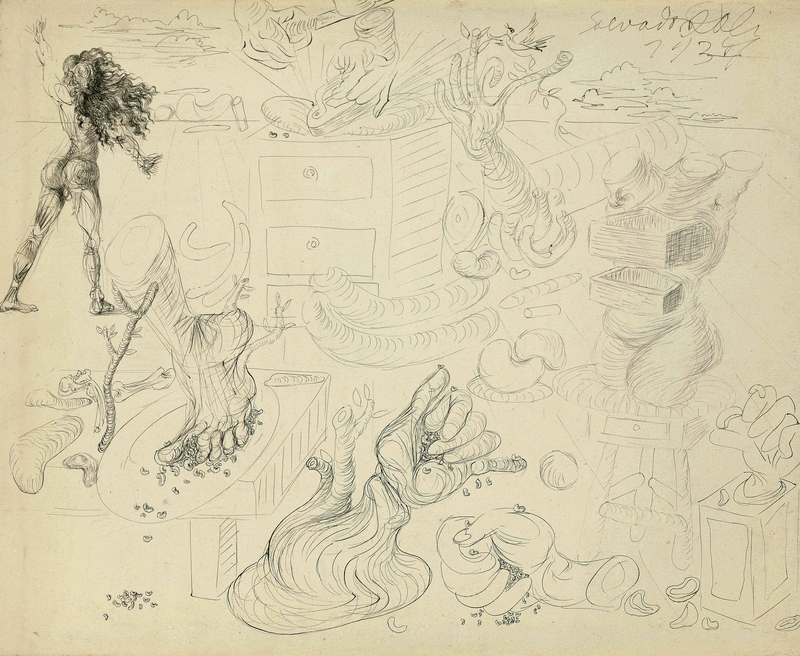 We find evidence that even at a young age he concerned himself with surreal abstraction and dream-like imagery. 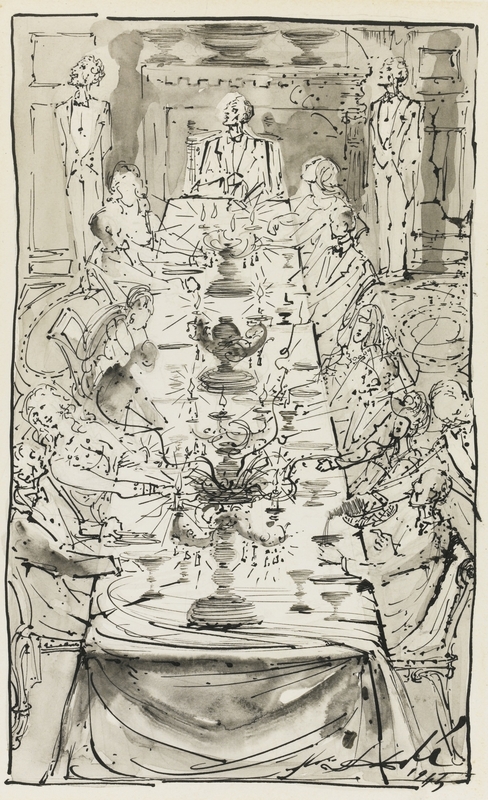 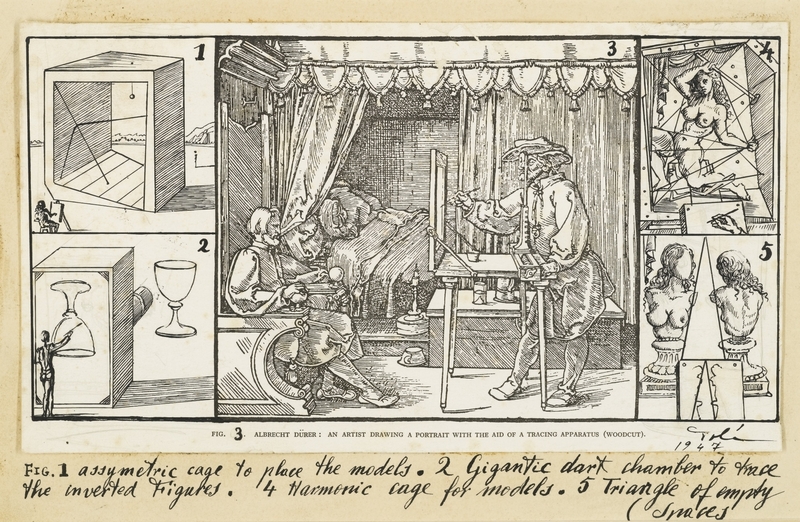 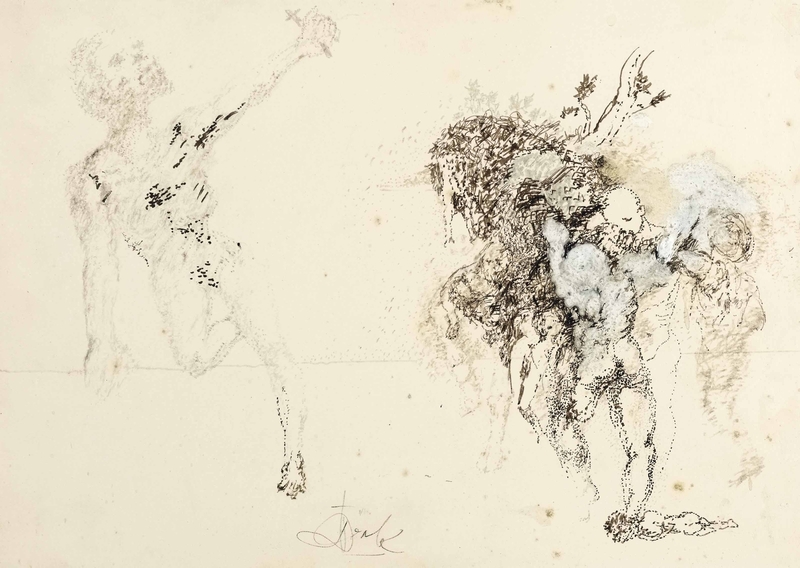 While his talents as a painter cannot be denied, neither can his works in ink and lead. 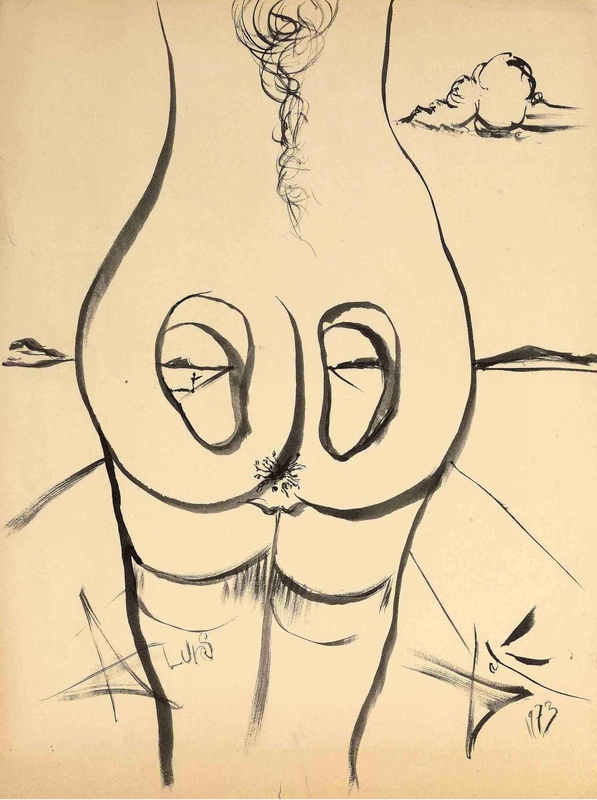 One of Dalí’s earliest drawings is a work title Le Sous-Marin (The Submarine). 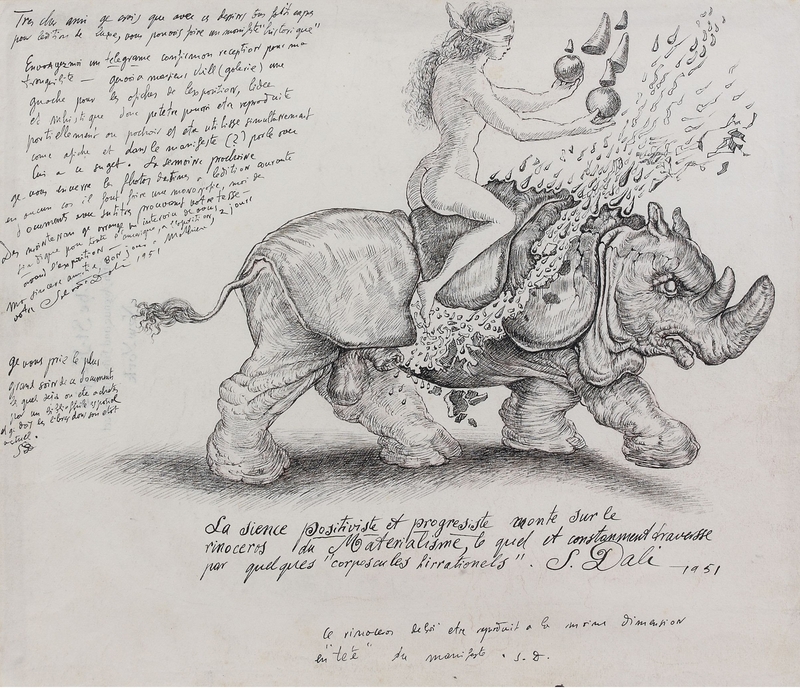 Date 1918 this whimsical scene is a work from a fourteen year old Dalí. 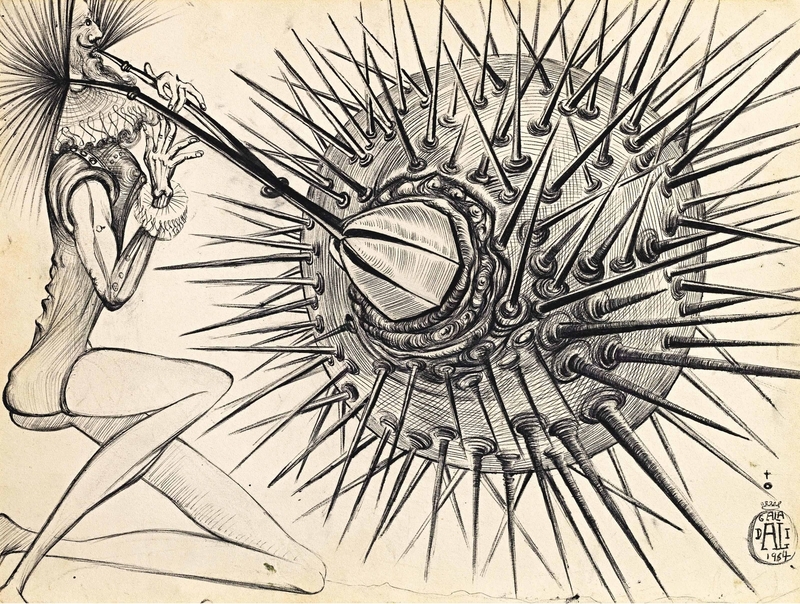 The image is cartoon like, it is a man floating in the sea holding the periscope of a submarine in one hand and a fish in another. 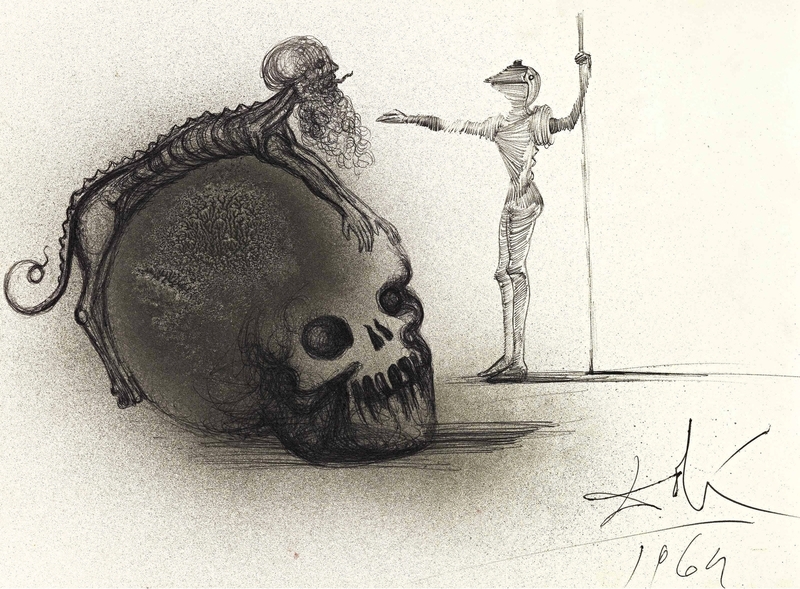 The drawing looks like something that would come from a comic strip. 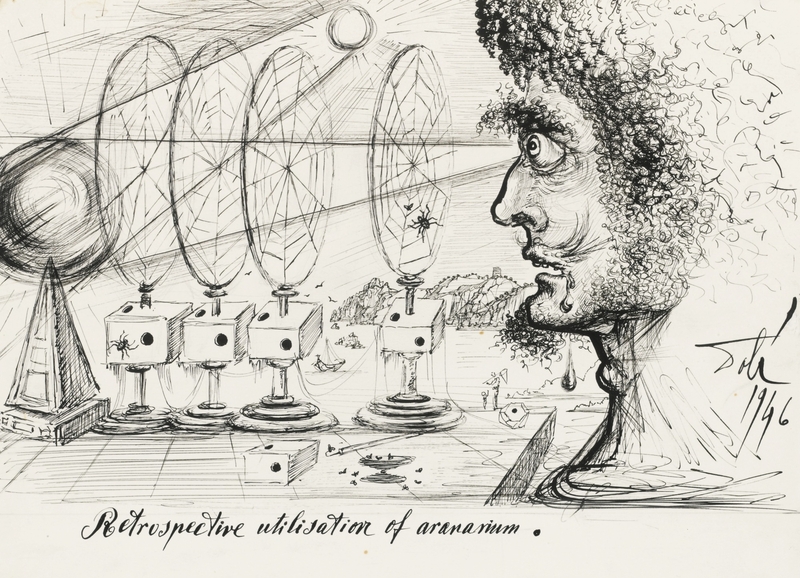 It is a highly imaginative portrait. 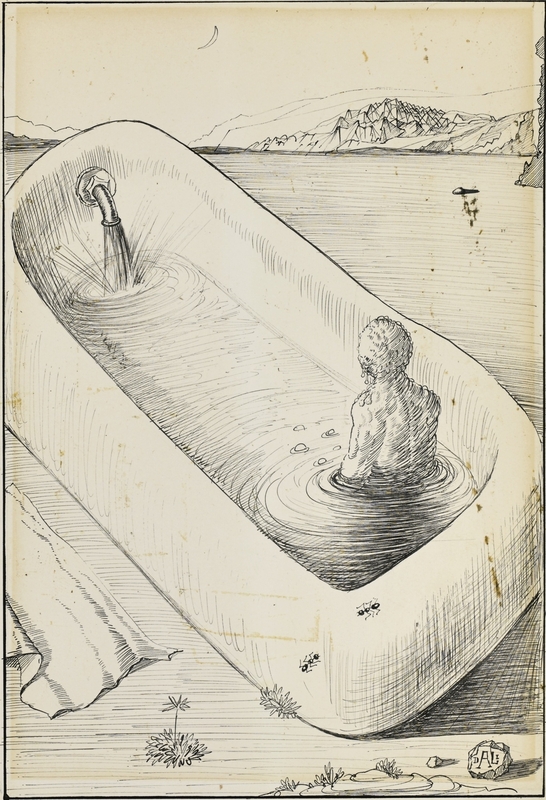 Even here we are already introduced to some theme that would be repeated in his career; the sea and the submarine. 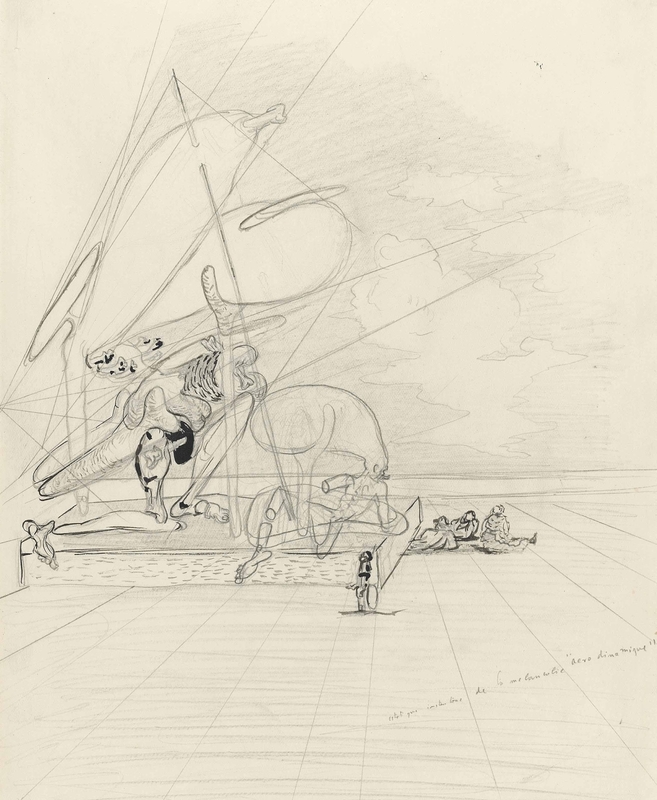 In his books Diary of a Genius and The Secret Life of Salvador Dalí one gets an extraordinary look at drawings by Salvador Dalí. 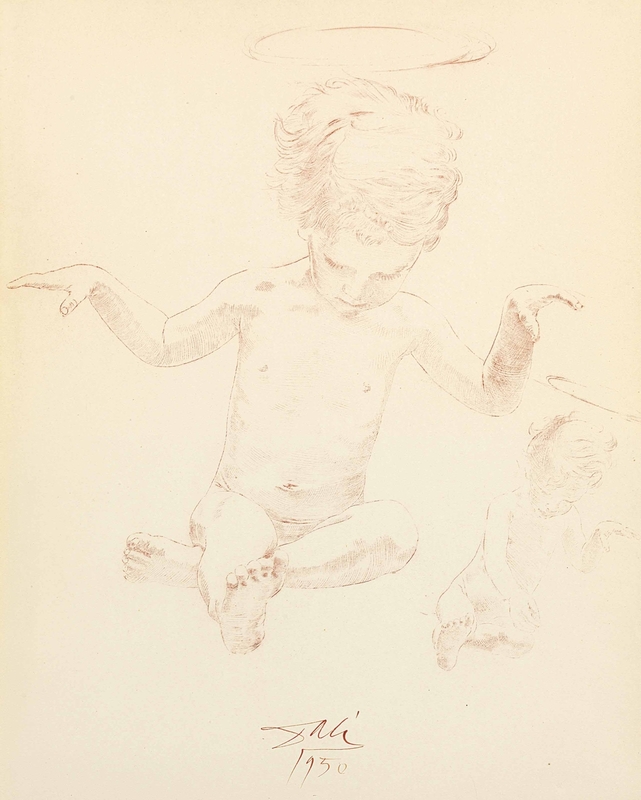 The books are scattered with miniature drawings which work more like secret thoughts and insights into the artist’s mind. 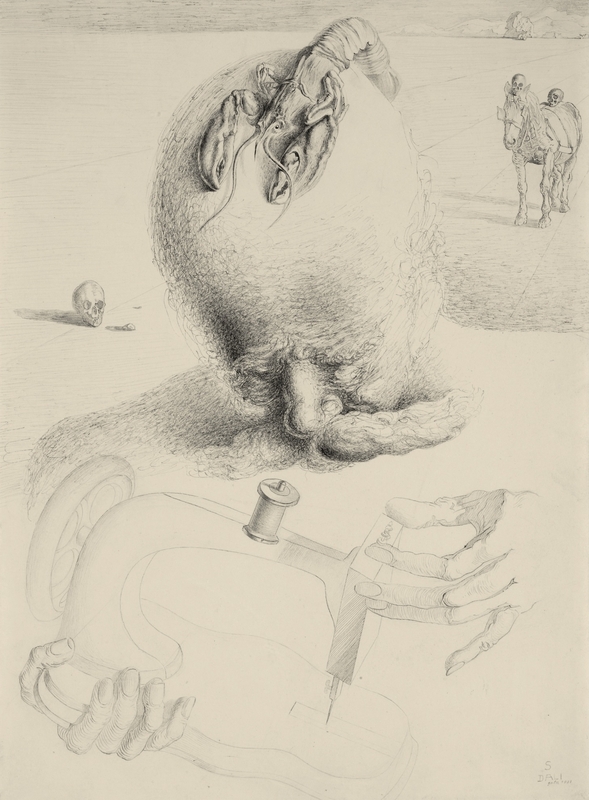 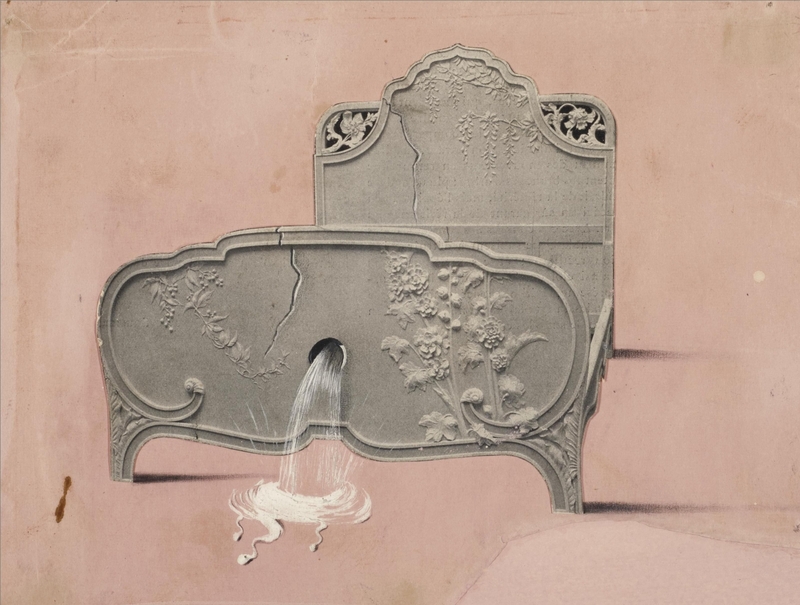 The drawings are tiny surrealist scenes unraveling before your very eye. 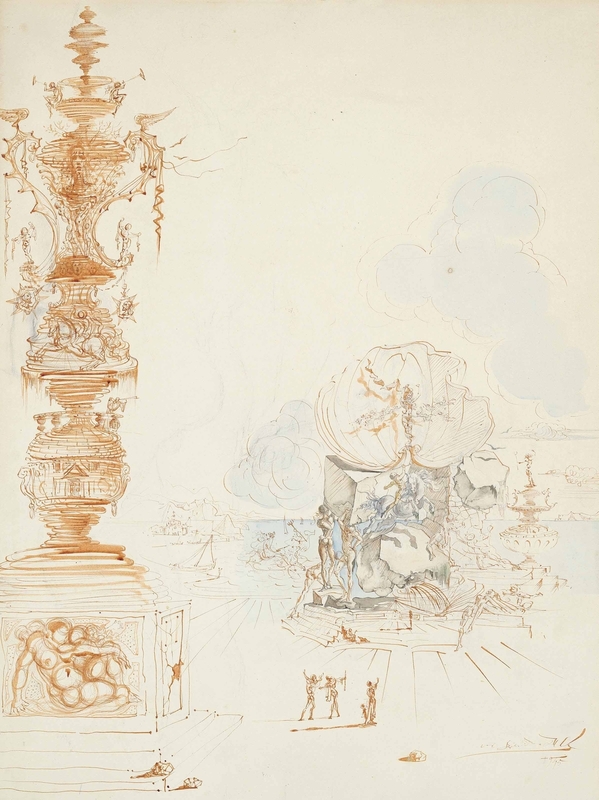 Dalí also produced illustrations for many books besides his own, most of the time these consisted of drawings. 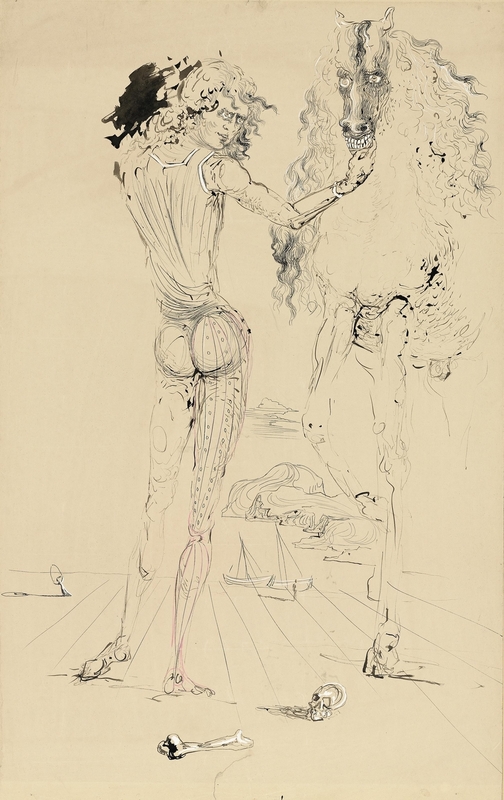 A brilliant example of this is Dalí drawing Macbeth for an edition of the play Macbeth by Shakespeare. 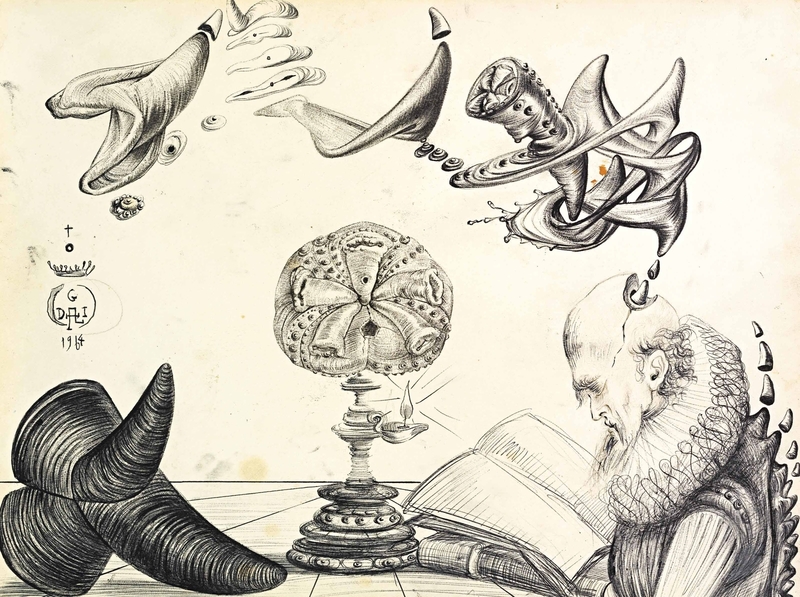 This incredibly detailed work of art is a monstrously mind-bending illustration of the highest caliber. 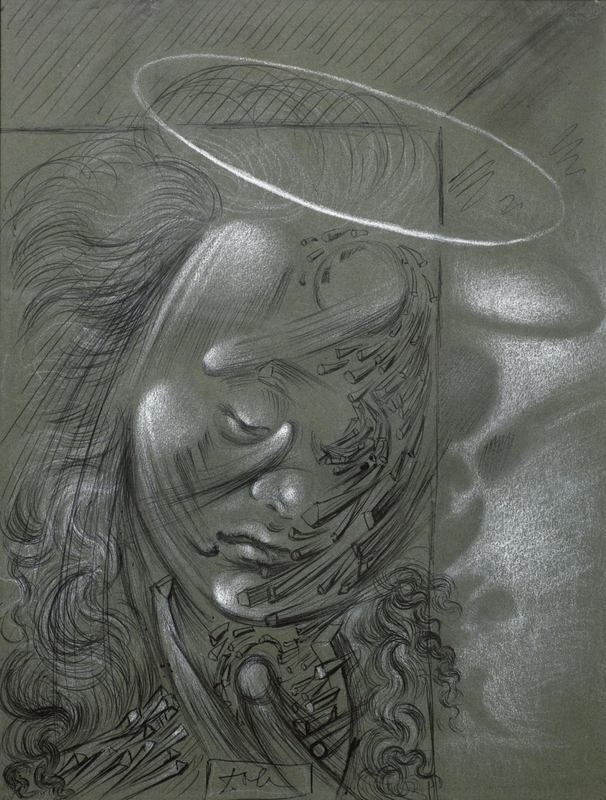 Because it is a drawing in comes to life in a way that a painting can’t, real, honest, and vibrant. 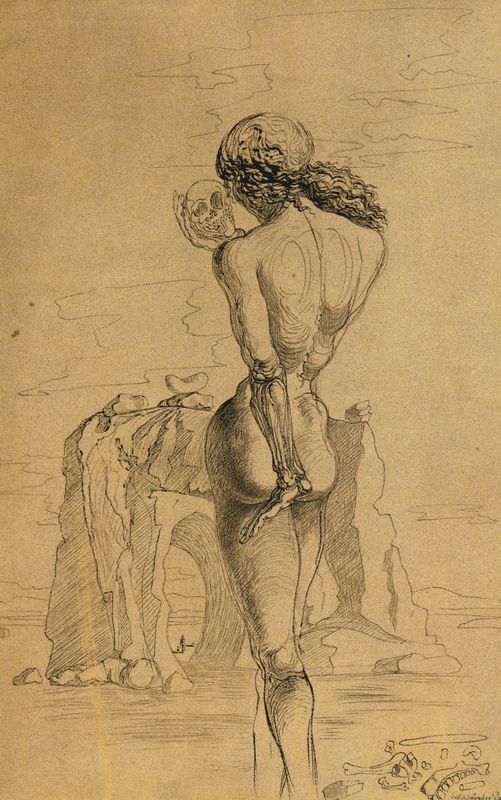 There is something honest about a drawing. 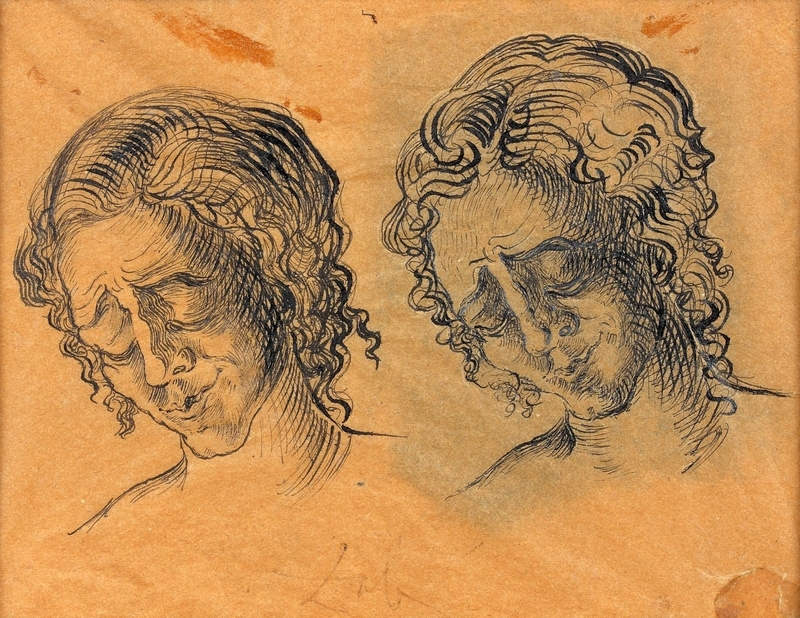 Unlike in a painting, drawing cannot hide mistakes, you cannot have too many flaws, it will simply show and degrade the work. 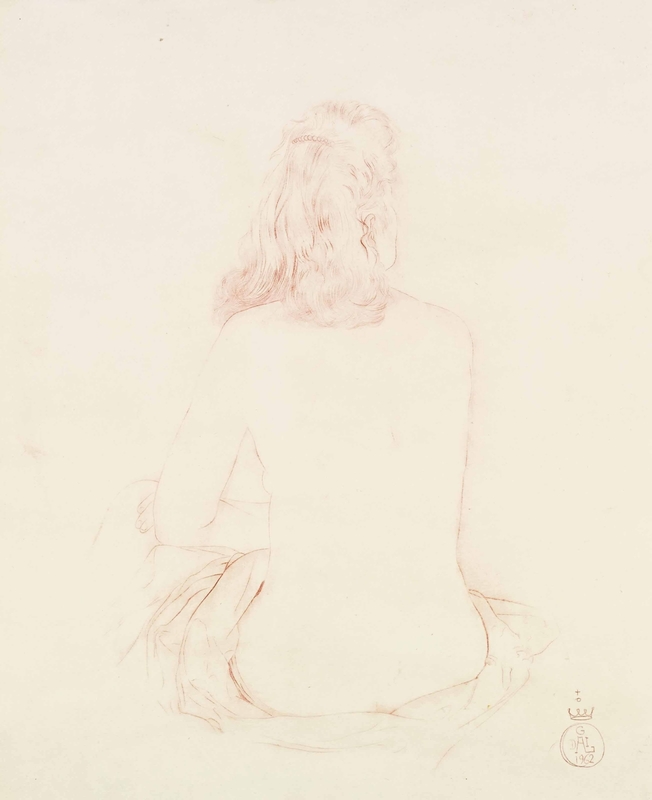 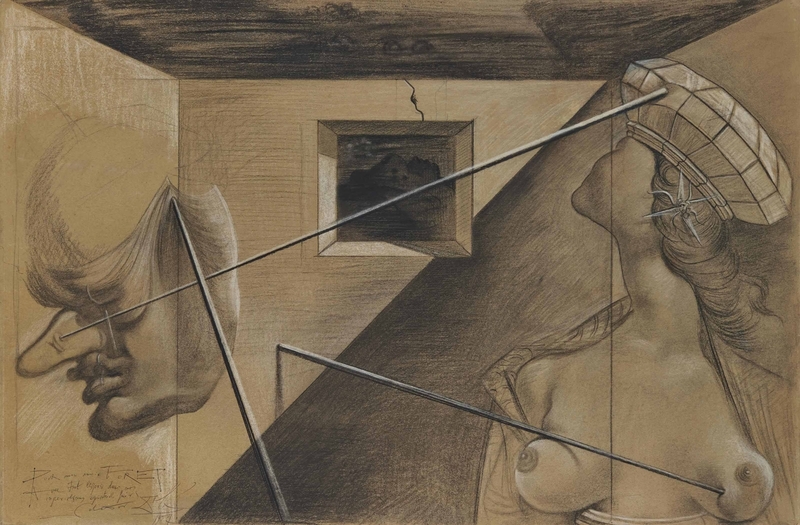 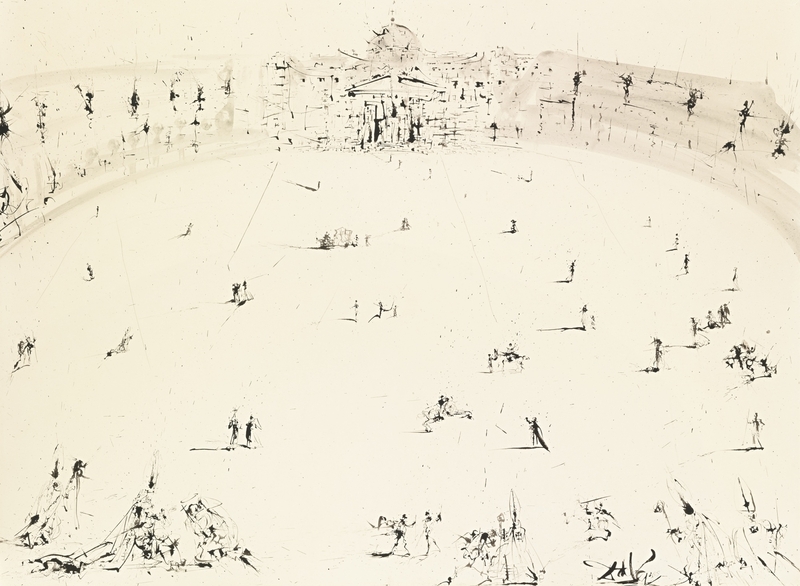 Dalí’s drawings, even when they were studies, maintained the highest quality and standard. 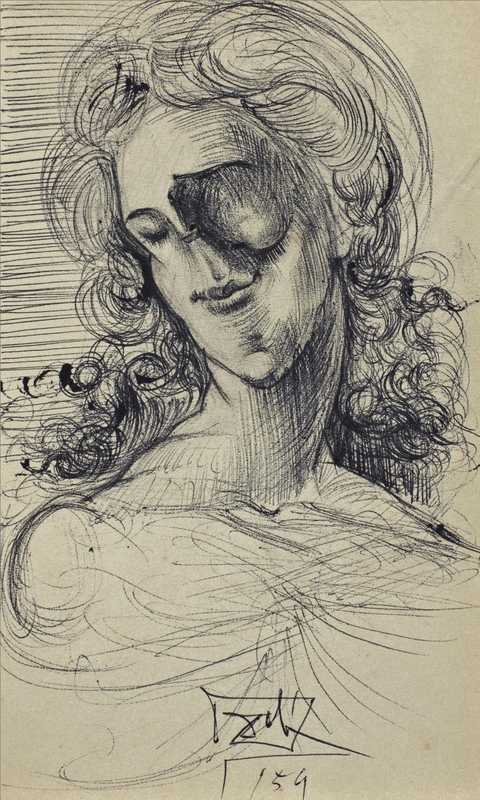 For example, Study for the Portrait of Mrs. Jack Warner is a delicate movement of lines and composition. 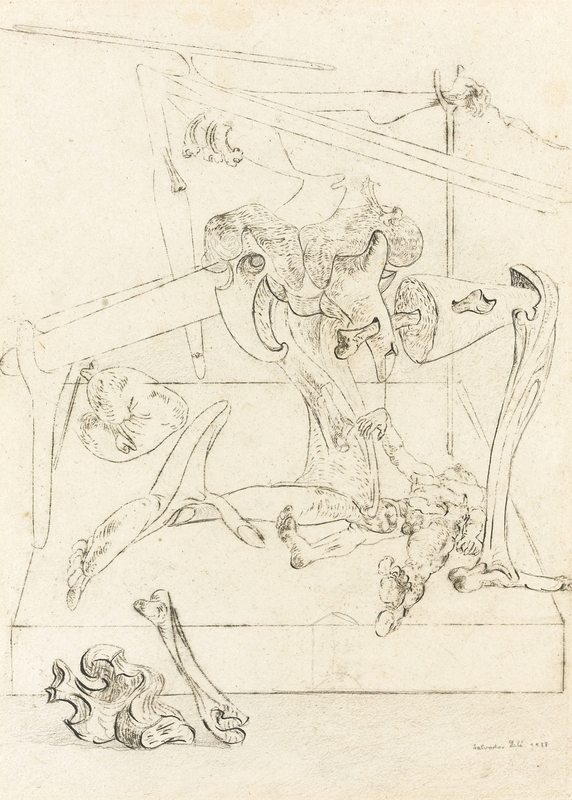 Within this work there we see the preliminary ideas of a work to come. 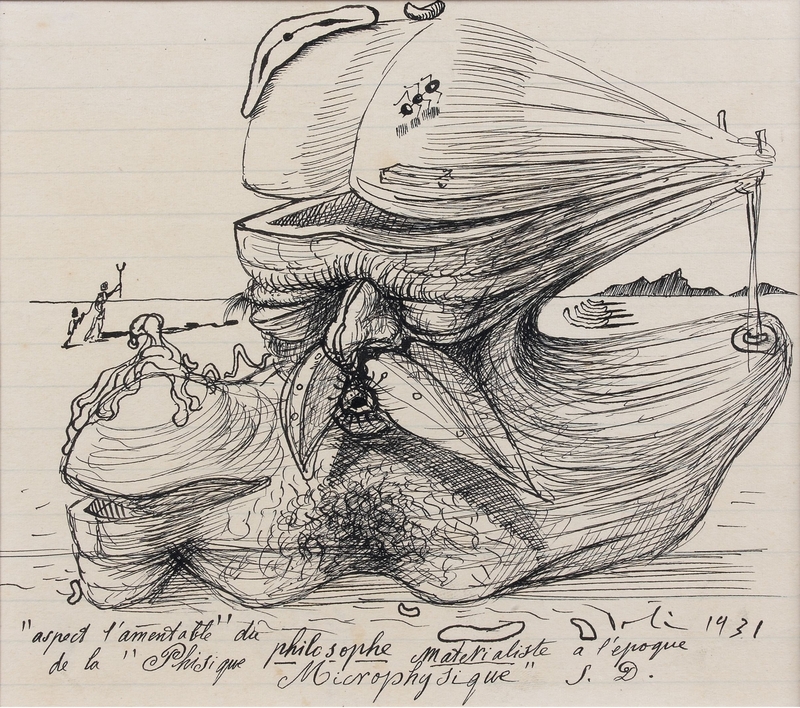 We see Dalí’s hand written notes executing the very thoughts from his head. 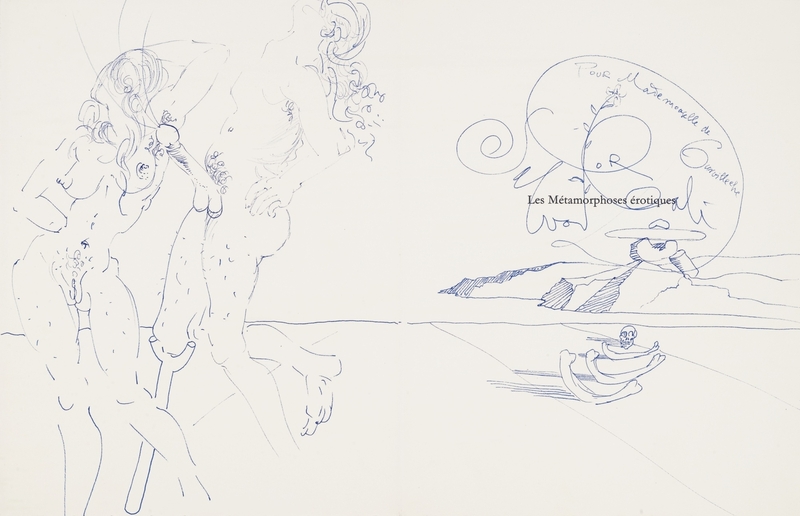 We see the inscription, not really a scribble but more of a stroke of magic. 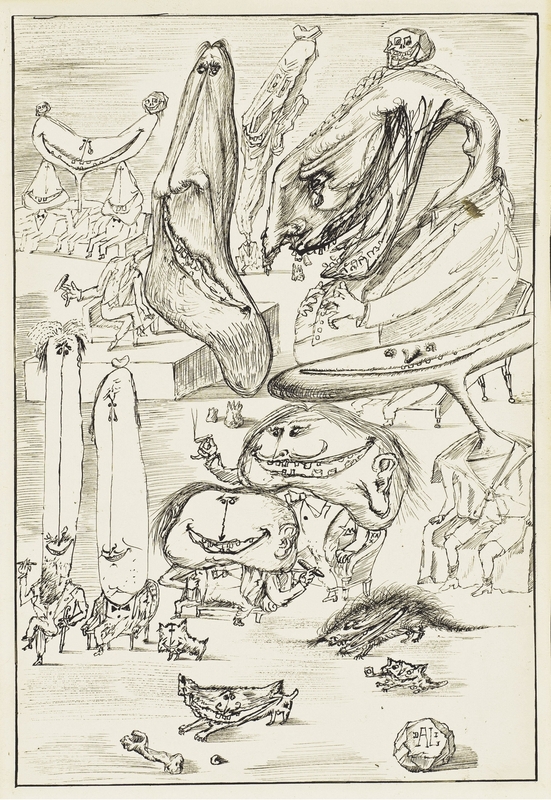 The drawing looks more like a work of art than a draft copy. 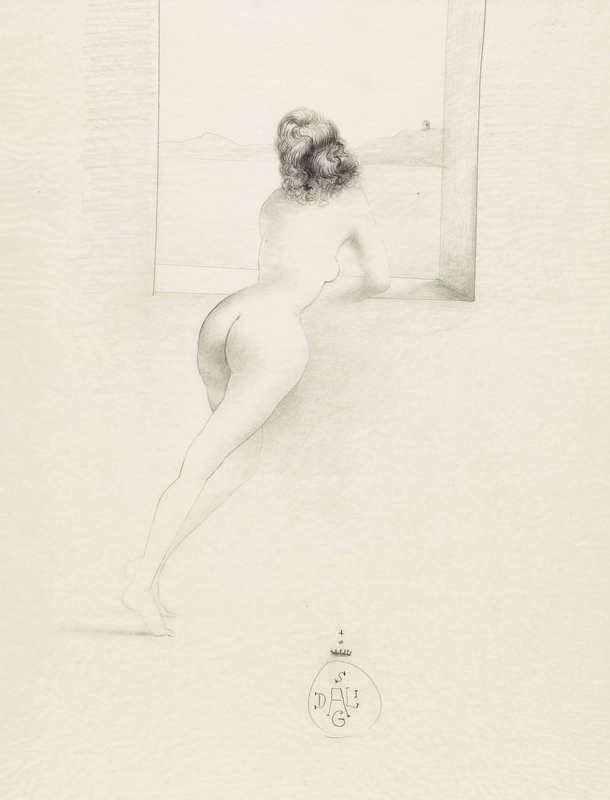 If Dalí was alive and you approached him to autograph a book of yours you would mostly likely get more than a signature, you would probably get a work of art. 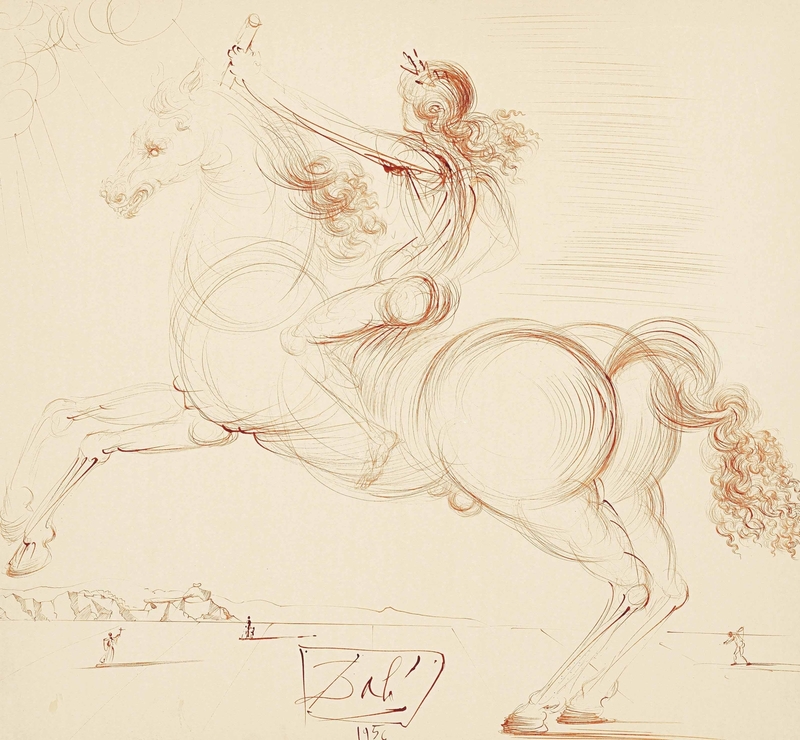 Dalí was famous for drawing his “autographs”. 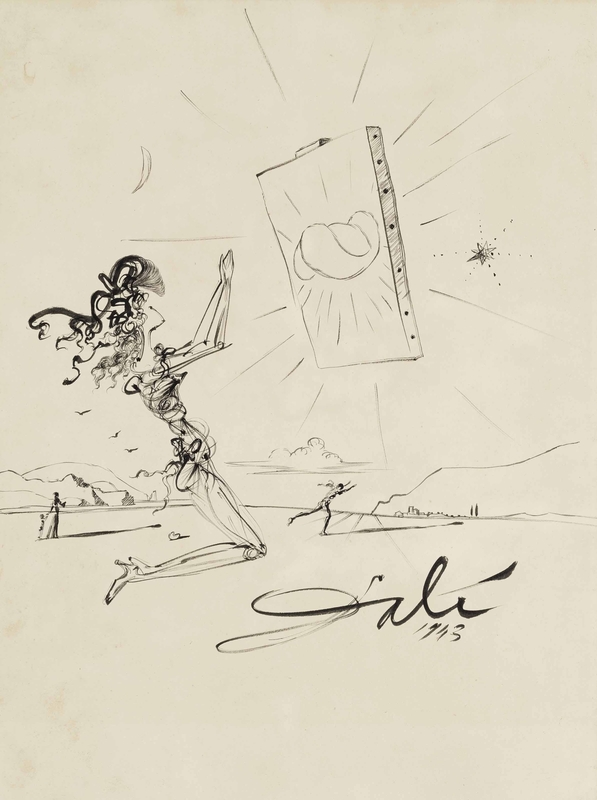 On the inside cover of hundreds of books Dalí personally dedicated many books to fans, friends, and business partners. 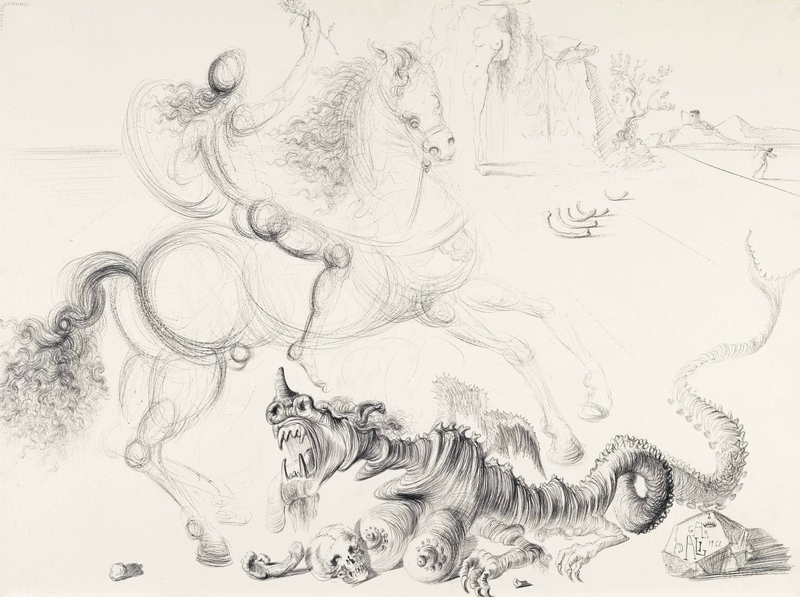 In these drawings you see a repetition of some famous Dalí icons; ants, Don Quixote, Horsemen, Angels, and the Dalinian landscape. 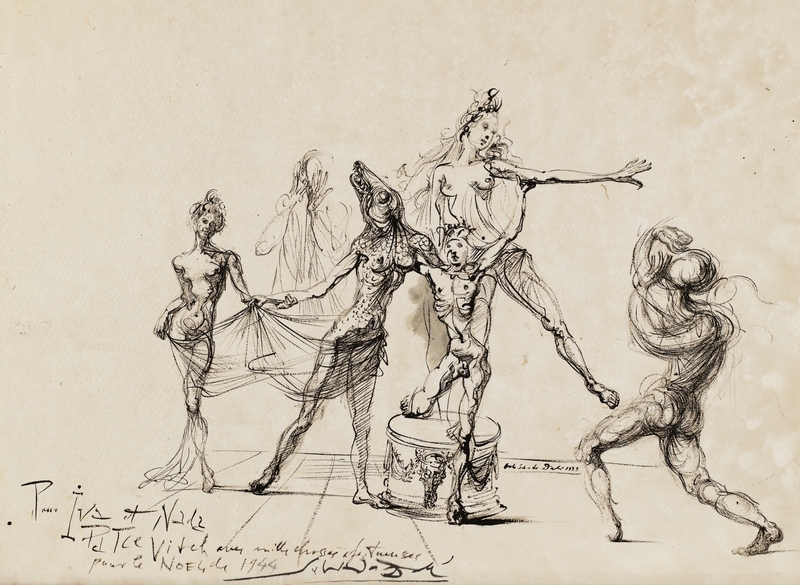 Dalí probably used these because he was extremely comfortable drawing these quickly and he wanted his admires to be left with something of great quality and style. 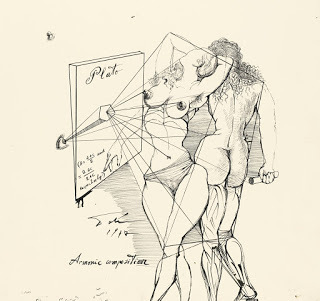 Drawing is the honesty of the art. 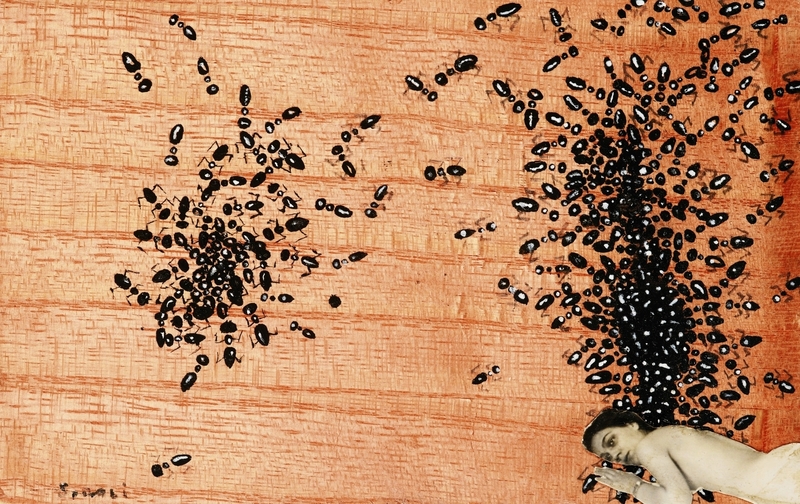 There is no possibility of cheating: It is either good or bad.